I was cruising around the other day, just happy to be right where I was, when I got even happier. 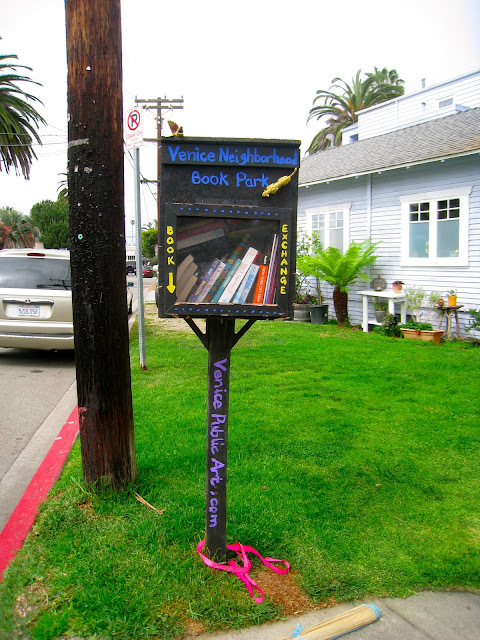 Right on the corner of Altair and Andalusia is the Venice Neighborhood Book Park! Like the "Little Free Library" movement popping up around the country, the VNBP is a little box that anyone can come by and leave or take a book to read. For free. Books for everyone! A friendly guy was just leaving when I rode up, and said, "I just left a whole bunch of new ones in there!" I already have a fat back log of books to read (and, ahem, write!) so I didn't take any on this day, but I sure have a bunch I can leave. If there's any room! It seems to be pretty popular, as the box was stuffed. The box itself has little plastic dragons guarding it, and a rasta colored ONE LOVE sticker on the side. I love everything about it. 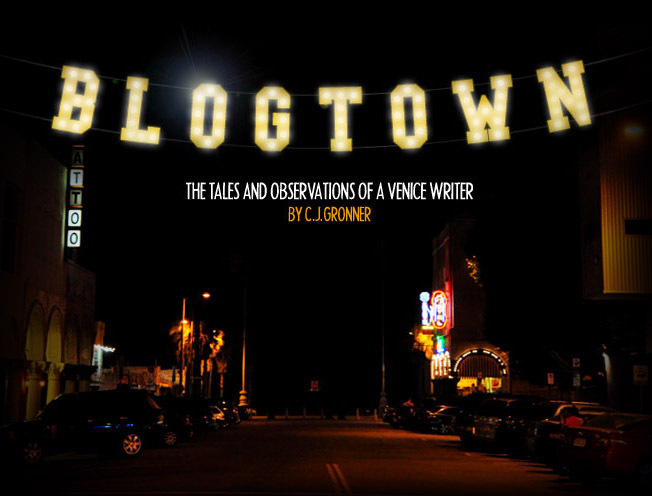 These are the little surprises that you chance upon in Venice, and what keeps it special. The whole city could use dragons guarding it now, and the reminder that ONE LOVE is really all that matters.